← Blogumentary: Inspiration – What, When, Where, Why, and How? 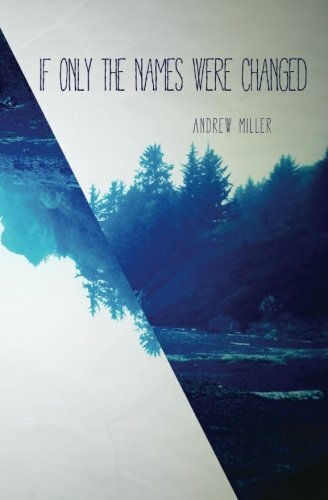 The next writer to be featured in this series is Andrew Miller. I have been a fan of his for years, so to have him agree to answer my questions was a big deal to me. The fact that he took time out of his vacation in Mexico City to get these responses back to me just speaks to his dedication and commitment to the craft. (Although, I’m sure he wrote much more meaningful things aside from this while he was there!) He’s definitely the most academic writer I know, which I’ll let him talk about in a couple of minutes. Seeing his journey as a writer has been a huge inspiration for me, and he has been an enormous encouragement to me and my writing as well. He’s always been willing to help with my projects, and I’ve even been able to give some input for one of his too. Also, in the interest of full disclosure, I guess I should probably mention that he’s my cousin! Let’s get started with a brief bio before we jump into the questions. Andrew Miller is a writer and photographer working from Columbus, Ohio. His writing has appeared in several literary journals including: Two Dollar Radio’s Frequencies, The Fanzine, X-R-A-Y, and has work coming soon in NewFound. 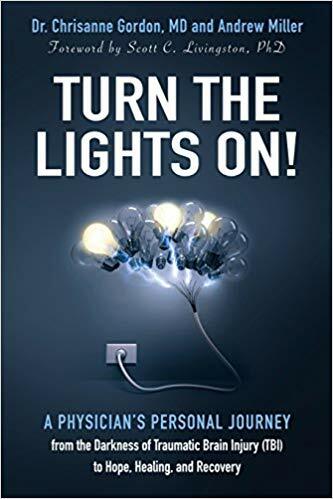 Publisher Civil Coping Mechanisms released Miller’s first book, If Only The Names Were Changed, in 2016 and he’s since gone on to co-author the book Turn The Lights On; a resource for recovery from Traumatic Brain Injury. In his personal time Miller enjoys spending time making art with his daughter, Sophie, and exploring the world with his wife, Gail. They both believe he has a death wish for having taken up skateboarding (again) in his 40s. Research is the blood of my writing. In fact it is the veritable blood of my life itself. Writers are by nature curious people, or at least should be. I don’t look at research as a means to an end in my writing but instead I see it as the journey. I write primarily non-fiction and creative non-fiction essays. In my writing I am trying to discover some sort of truth behind the path my life has taken and the intersections with my environment. In order to make sense of any of it I have to be willing to constantly ask the age-old question, why? Or, to quote a far more accomplished essayist whom I respect, Phillip Lopate, he suggested that an essayist should be constantly adding the phrase, “and yet”, into each sentence. Not literally, but as a way of forcing oneself to further explore what they believe so firmly that they just put it in writing. I am fascinated by learning new things and taking in new perspectives; and yet, I recognize I can also use research as a way of avoiding my writing too. Distraction is my worst enemy when writing, and falling down a Wikipedia rabbit hole is often the culprit of being blown fully off course. How particular are you with spelling, grammar, etc? Do things have to be perfect from the beginning, or are you more worried about getting the idea on paper, then leave the proofreading to the editing? My wife will tell you that I am terrible with grammar, no matter how hard I try – but improving. We met when we were working for the newspapers, she’s worked as a professional writer across all mediums (print, radio, TV, and online) for her whole career. As such, precision is very important. To be certain that “precision” for her means AP style. When writing for periodicals or in a more journalistic way, it is very important to understand what style the editors prefer and to accurately maintain that style. Of course this is easier said than done, but it remains important. Two potential outcomes exist if you ignore what I’m saying here. If you do not worry yourself over grammar style and spelling, you will either have pieces rejected outright or the editor will end up missing corrections and your work will suffer for it. The very first draft of anything I write I only care so much about my grammar and spelling because I may find my idea was only fleeting and doesn’t ultimately earn my attention. A first draft is really a moment where I word vomit all over the page. When I return to a piece that I’m working through I will generally start by reading what I last wrote, and editing it as best as possible before launching into new sections. This serves a couple of purposes. First is obviously to polish my words, the second is to reconnect my mind with the voice of the work. I believe it is important to keep this third aspect, voice, in mind as well. By which I mean what a sentence sounds like when it is read. Look at a piece of work you’ve written or you’ve read that you are in love with, read it out loud, you’ll notice how the flow of the words feel right. Doesn’t matter what the flow is, they just feel correct to the tongue and the ear. Likewise, if you read something you don’t feel is working, there are many reasons that might be, but one of the most overlooked is often voice. Sentences clashing with one another in tone, if not in content. As a child I was always writing (bad) poetry and making so-so art; drawings and paintings. Writing came easy to me but I ignored it in favor of thinking I might become a visual artist. Eventually I discovered that one of the few ways I felt comfortable expressing myself was through writing, but that still didn’t convince me I should become a writer. Instead, I became an alcoholic and a louse, only writing from time to time until I started down the path of sobriety. There, in my early 30s, I realized I had thoughts I needed to express and while I’d essentially given up my visual art practices I retained my ability and desire to write. As a late comer to this craft I have the advantage of life experience to draw from, but far less conviction that I am the messenger of those stories. Regardless, here I am, constantly fumbling with these symbols on a screen, doing my best to put them in order. Inspiration is a funny thing. Were any of us to determine the secret of inspiration I believe we could right (or at least write) all of the world’s wrongs. I find first lines come to me at the strangest occasions. I don’t believe it is only me that thinks this way. One of my essays, The Nearest Exit May Be Behind You, came from sitting on an airplane listening to the pre-flight safety instructions. Thanks to technology, when something strikes me as a potential starting point I have an ongoing ideas document where I can quickly peck out a line or two. Another part of this question though would be, what inspires me to write pieces I want to share with the world. This I can answer with more precision. I believe in the potential of exposing human experience as a means of bringing about empathy for the “other.” I have a burning curiosity about what decisions and experiences have led my life to where it is, and likewise that same curiosity for how other people have come to their lot in life. This world is far more complex than any of use can imagine; that doesn’t mean we shouldn’t attempt to though. For me, personally, if I bottle this curiosity up I think I would go crazy (crazier?). I write at least weekly, often daily; just as important is that I read constantly. I am blessed with the knack for being a fast reader and can get through a few books a week or a month depending upon what they are. If you want to be a great basketball player, you spend hours a day practicing free throws and layups, because those are two key shots you must make consistently. You also spend hours upon hours watching other players to understand what makes them good, great, or even terrible. Writing is the same. 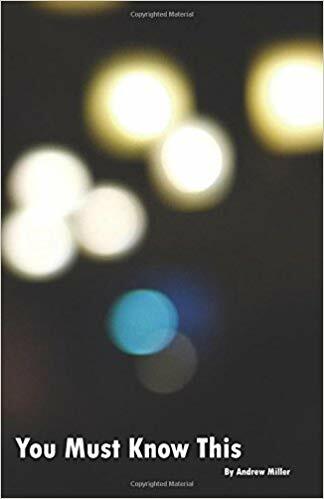 I will never be Alejandro Zambra no matter how much work I read of his, but what he writes is so sublime to me that understanding how he does it can help me to craft my work. I consider having written for a few minutes just as successful as having written for a couple of hours. Of course, if you want to write a book you can’t get away with only a few sentences at a whack – at least not if you ever want to finish it. I only ever set a specific goal when I am either on a deadline or I am editing. In those cases the deadline dictates the goal (this is sometimes essential to completion for me) or, if I’m editing, I like to set aside enough time so that I can go through an entire essay, or chapter, etc. Something realistic but long enough that there is a logical beginning and end to it. This gets back to the concept of voice that I mentioned earlier. If I’m in need of a deadline, or a writing prompt with a deadline, I often browse Submittable.com and look for items with an upcoming due date. Another great resource is Entropymag.org which has a monthly “where to submit” guide. Since I haven’t written much fiction I don’t have a specific plot line I’m working from. That said, within the realm of my creative non-fiction I do set a frame around an event. With that border drawn I look to explore everything I can within it, and attempt to structure that exploration in a way which delivers suspense and then resolution (of a sorts) for my reader – much like in fiction writing. When speaking about structure I want to be clear that, for me, this happens more through the editing process than during the first stages of writing. Clearing my mind of all life’s distractions to sit and do the work. Writer’s block is an accurate way of describing the feeling associated with a lack of motivation. You could just call it a lack of motivation. For me I find having a deadline helps. Not a self-imposed deadline, there’s not enough shame in ignoring that. A deadline imposed by an outside party, particularly one that offers some sort of prompt. With both of those items in hand I can write. I enjoy a well-rounded diet of creative non-fiction, fiction, and poetry. There’s very little I won’t read. Actually, I can’t think of anything I won’t at least give a chance. My favorite author would of course be Charles Kelley, because he is the person who took the time to ask me these questions. Favorite authors is a tough question but some top-of-mind folks include Roxanne Gay, Jessica Smith, Alissa Nutting, Josip Novakovich, Michael Seidlinger, Julio Cortezar, Chris Bournea, Albert Camus, Kurt Vonnegut, Scott McClanahan, and pretty much anything published by either The Five Accomplices or Two Dollar Radio. I wish that my first book had been given a stricter edit than it was. I cringe when I see some of the grammar errors that I wish I (or the editor) had caught. As much as I believe it is the author’s responsibility to write clearly and accurately, there comes a point where the author must give up control to an outside party. Obviously it is imperative that the editor has an interest in the work, and is invested in making it the best they are able. The problem with self editing is not unlike being a codependent partner in a bad relationship. You will never recognize the problems because you’re a party to those problems. Any outsider however will instantly see the faults, but only one that cares deeply enough will help you work through those problems. My younger self should’ve taken up writing earlier, and not been so self-destructive. For the aspiring authors I offer something a bit more positive – you can do this! Don’t sit down to write a novel, an essay, or even a short poem. Sit down (or hell, stand on your head for all I care) and write a sentence that feels good to you. Once you’ve done that, write another. If they work together, great! If not, perhaps you’ve now got the beginning of multiple pieces. If by this you mean do I like my work I would have to say mostly so. You can’t be a writer who wants to be read by others and not have some amount of ego and confidence. Saying that, you also need humility for the sake of editing or else you’ll be nothing but bluster. Always and in every story whether it is fictional or not. Write what you know, and then research what you don’t so that you can write beyond yourself. I’ve got a new collection of essays I’m working on, several of which have already been published individually. The broad theme is around survival within the current (social and economic) culture of the United States. I’m drawn to trying to understand an environment which so willingly leaves so many people destitute, particularly those individuals trapped in the carceral state or living on the streets. How many ideas do you have stories for at the moment? Too many. Just got another one. Oops, there it goes into the wind. The loved ones in my life who put up with me disappearing into my keyboard. Yes, I work for the State of Ohio, writing contracts for technology purchases and overseeing those purchasing processes. Being in the union I am able to work a (no longer normal) 8-hour shift and leave my work at work. Everyone should be in a union so they don’t have to be pushed around by their bosses and stuck slaving away 10-12-14 hours a day. Be it as it may, I would much prefer creative writing full time over working for a wage. For this life, at least as of now, I’m privileged to have the opportunity to earn a good living and still have the mental and emotional wherewithal to write creatively on my own time. Absolutely, but does anyone want to be? Nothing I’ve written so far – but someday I may write something suitable for the big screen. 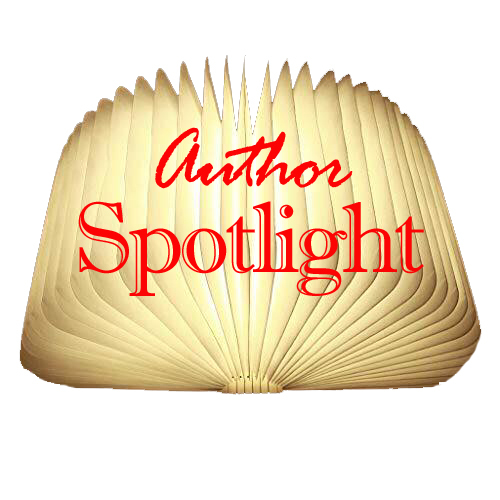 No matter who you are or what stage you are in as an author, you will be expected to help market your books. I have no favorite tips or tricks because I hate everything about marketing my work. Yes, in fact I believe your first stop before sending your work out for possible publication should be to send it to one or more trusted writer friends. Try your best to get feedback from not just another writer, but a writer who understands your genre and voice so they can give you solid feedback. Anyone who just tells you your story is great and doesn’t, at the very least, copy edit it for you is not doing you any good. Make sure you are always willing to return the favor, editing isn’t just good for them, it will make you a better writer as well. Answer questionnaires – ha! – no, actually my favorite thing to do is travel. As such, I’m writing you from a comfortable table outside a cafe in Mexico City. As previously mentioned, I also skateboard (poorly), hang out with my family, and make art. I’m very bad about celebrating anything to do with myself. I think we might have gotten a pizza or something. I have a few tattoos as well as a couple of voided checks from my first royalties. Far more often than I’ve completed one. I have had the good fortune of winning some small writing awards, nothing anyone has really heard of, still I’m thankful for the recognition and small financial token they bring. I need to know I won’t be interrupted but I don’t require silence. In fact, I generally like some level of background noise. I can’t listen to music with lyrics, or to say a podcast, but I can and sometimes do listen to all sorts of music without words such as classical, jazz, electronic, or art rock. The Book Loft in Columbus, Ohio. Be certain to check them out if you’re ever in town. Similarly, check out Two Dollar Radio HQ if you’re here, Gramercy Books in Bexley, Ohio; and, all of the other independent bookstores in town. We’re pretty lucky to have several. Yes, as a way of separating voices when writing for very different audiences. My desire is to take full advantage of the situation I’m in, which is to say that I do not have to feed my family by writing creatively, so I write what I want to write. This is not to say I am only looking to write “uniquely”, only that I understand my audience may be more limited based on my content and voice and I am OK with that. I will never have the success of a J.K. Rowling with what I write, but I am not seeking that either. Plane tickets to a foreign country. Also my bachelors and masters degrees. A few writers making name for themselves in the now who I have great respect for include Hanif Abdurraqib, Sarah Gerard, and Masande Ntshanga. I think the person that I want everyone to read though is Scott Navicky – he is by far the smartest and funniest writer I know. Additionally, two writers I went through my MFA program with who will have first books coming out in the next year or two are Michael Schmidt and Mike Zimmerman. Be on the lookout! First of all, thanks so much for spending this time allowing me to talk writing with you – it’s been an honor. Then, finally, just a heads up that If Only The Names Were Changed, winner of a Beachie Award, will be going out-of-print in June of this year, so get your copy today! I feel like I should mention again that Andrew completed all of these questions while vacationing in Mexico City. His responsiveness has always been incredible and very much appreciated! Now I’m actually going to encourage you to stop reading this and go check out his work!